A case is being built to justify a Libya-style military intervention in Syria, says Russian Foreign Minister Sergey Lavrov. 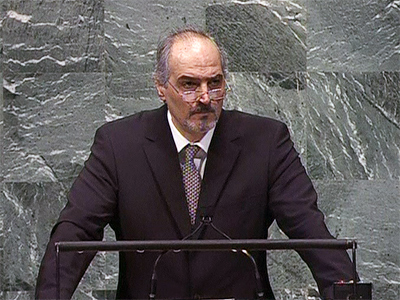 The FM warned against attempts to exclude Damascus from international peace efforts. “Instead of expanding and boosting the mission, they say now that the mission is no use, and they need a joint effort with the UN. 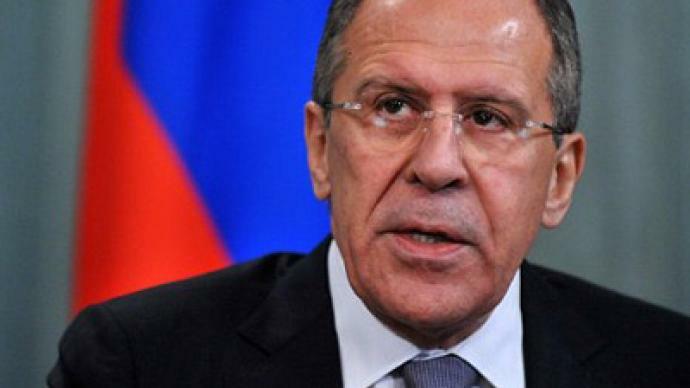 And that this should not be an observer mission, but rather peacekeeping forces,” said Lavrov. Nothing is wrong with peacekeepers, except for the fact that they will be commissioned to protect civilians and ensure safe passage for relief aid, continued the FM, – which means they will have to be equipped with military hardware. “It means a mandate to use force in order to protect civilians, too,” he added. “We have had civilians protected in Libya and know the results,” Lavrov noted, referring to the all-out war between NATO air forces and Colonel Muammar Gaddafi’s troops, which toppled the Libyan regime and led to Gaddafi's brutal assassination. It is no wonder that Syria has rejected the push for UN peacekeepers, saying such a move would violate its sovereignty, concluded Lavrov. The League came up with an initiative that Syrian President Bashar Al-Assad could not help turning down. ­How inclusive is the Syria Friends club? As Washington, the Arab League and some EU countries call to create a “Friends of a Democratic Syria” working group, Lavrov is unsure how balanced an approach such a group would have. “The idea of creating a group, where the Syrian opposition is welcomed while the official regime is not, is nothing but an attempt to make the international community take sides in the conflict,” Lavrov told a press conference in Amsterdam. 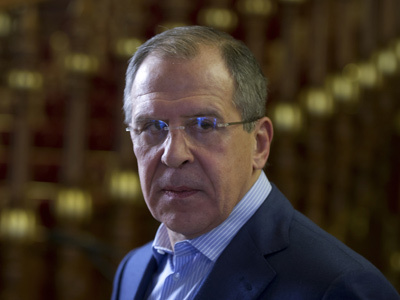 Lavrov has once again called on the international community to find ways to end the violence carried out both by Assad’s government and the armed insurgency. The irregular militias on the ground should also be included. “We are trying to find out if the Syrian National Council and other political groups have any influence at all on armed opposition group, such as the Free Syrian Army. But we are told they have no influence. 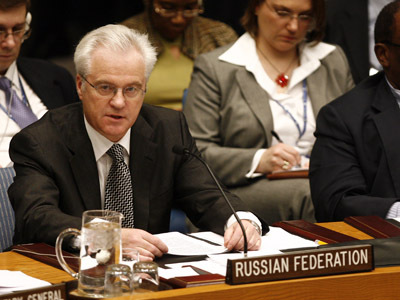 We should understand who controls these fighters in this case,” Lavrov said. On February 7, the Russian FM held talks with Syrian President, where the latter committed to stop the bloodshed and start talks with the opposition. Despite the peace effort, on Monday the UN Commission on Human Rights denounced Assad’s crackdown on anti-regime protesters and recommended referring the Syrian case to the International Criminal Court. The UN estimates over 5,400 people have died in the Syrian violence since January 2011. Assad says he is protecting his nation from a foreign insurgency. ­Patrick Hayes, a reporter for the online magazine 'Spiked,’ told RT that Western powers use so-called “humanitarian intervention” as a pretext to promote their own agenda. “The removal of diplomats from Syria, the desire to arm the Free Syrian Army from the West – basically to give them sections of training areas where they can develop a strong opposition,” are part of that agenda, he says. 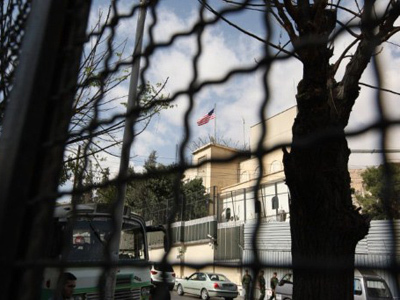 The analyst says all evidence suggests that Western powers are unwilling to encourage any kind of dialogue. Hayes believes the West has tends to polarize complex situations, causing massive problems later on.